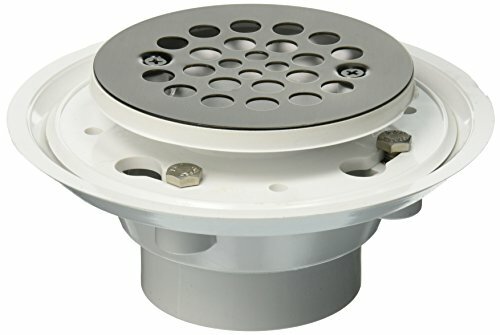 Complete Round Shower Drain for 2" or 3" PVC Pewter. This item is used for Rough Plumbing, Drain Openers and Stops. The item is manufactured in United States.